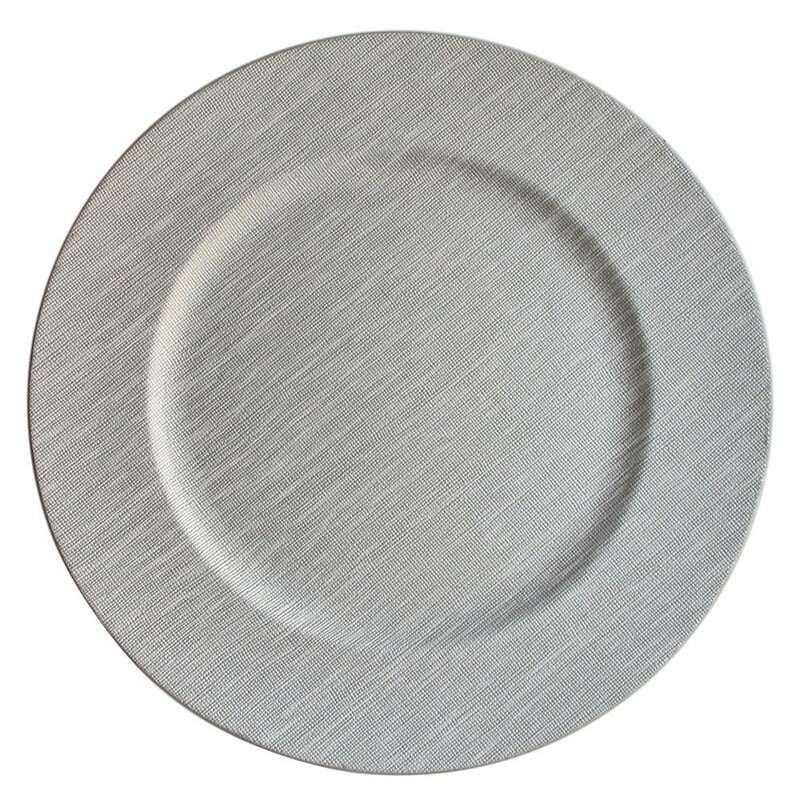 ChargeIt by Jay Textured Cool Gray Charger Plate 14"
Home > Products > ChargeIt by Jay Textured Cool Gray Charger Plate 14"
Add charming detail to any formal event with the ChargeIt by Jay Textured Cool Gray Charger Plate 14". Your dinnerware collection will take center stage when layered on top of this piece with a woven, texture. Stylish and functional, this product accommodates any size plate while providing protection against spills and mess that might otherwise stain your tablecloth. Made from high quality melamine, this charger is lightweight, break resistant, and exceptional durable. A luxurious yet economical addition to any fine dining venue, this versatile item can also be used to create an elegant centerpiece to enhance your decor. This charger plate should be hand washed only to keep it in excellent condition.